﻿ Solar Division - Summit Electric Construction, Inc.
UPDATE: Please note, Summit Electric does not currently perform Residential Solar Installations. We hope to commence our Solar services again once we can offer our customers a financially viable option. 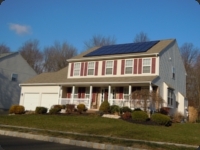 Summit Electric's solar division, Solar Greenergy, is helping businesses and homes across the Delaware Valley go solar! We are a SunPower Premier Dealer, Sharp-Certified Solar installer, as well as an AEE Solar dealer-installer. 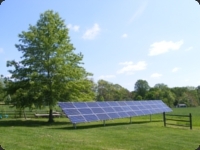 Summit began solar PV installations after realizing the benefits it could bring to our customers and environment. With Federal, State, and Utility Company incentives, solar power has become one of the best financial investments available today! 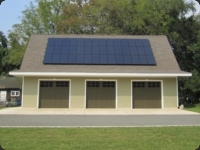 Summit can offer our customers a variety of financing options to make solar an option for any home or business! Solar energy is no longer a wave of the future, it is happening now! We want to convert as many homes and businesses as possible to solar power. Every installation is a small step toward our country’s energy independence and helping to provide a brighter future for our children and future generations! 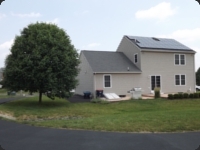 Summit Electric provides a turn-key solar system installation. Our installations include, but are not limited to: all paperwork, permitting, design, installation, arranging inspections, interconnection, obtaining any available rebates, and SREC registration. Our trained and experienced electricians perform all installations, we do not sub out any of our work. For more information on solar, for your home or business, visit Solar Greenergy's website!